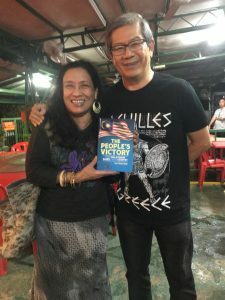 Kee Thuan Chye, author of ‘The People’s Victory’ warns Malaysians: Be afraid. Be very afraid. 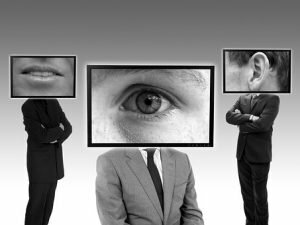 The Malaysian Communications and Multimedia Commission (MCMC) has been instructed to watch you. If you say anything against the institution of royalty during the run-up to the election and proclamation of the new Yang di-Pertuan Agong, you could be in for a spot of trouble. And whaddya know, the instruction comes from none other than Communications and Multimedia Minister Gobind Singh Deo. Probably the last person you’d expect to issue such a frightening, anti-democratic instruction that could have come out of a page of George Orwell’s iconic novel ‘1984’. That’s an even bigger reason to be afraid. When Gobind was in the opposition, he was one of the biggest advocates of free speech and expression. He struck me as being one of the bright sparks of Pakatan Harapan, one of our best hopes for a better Malaysia. Last October, when he had become part of the Harapan government, he announced that he had presented a proposal to the cabinet to impose a moratorium on the Sedition Act 1948, and that the cabinet had agreed. I applauded him for living up to hopeful expectations. He also gave the assurance then that the cabinet had made a “decision” to eventually abolish the Act. That was good, it showed that Harapan was on the right road to reform. But now, look at what has become of him. Is he going to say, “I’m just doing my job”, eh? If he does, I’d say, “Get real.” Because what is frightening about his instruction is that it goes against the idea of a true democracy, the democracy that Harapan has been espousing for Malaysia even before the 14th general election. 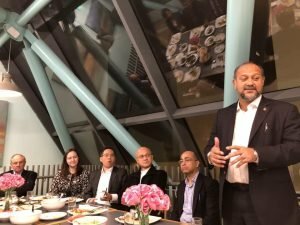 What Gobind is proposing is something that comes out of a police state that does not tolerate opinion on certain issues. Something that he and some of his cabinet colleagues had had a bitter taste of when they were still in the opposition. When they were at the receiving end of the stick then, they wailed like hell against being suppressed. But now, as the minister overseeing MCMC, Gobind is waving the stick to suppress ordinary citizens. He is also behaving like Big Brother, peering into citizens’ posts on social media. This is the greatest irony marring the progress of the misnamed New Malaysia. To be sure, I’m not advocating anything sinister against the monarchy, but why stifle opinion about that institution, even if it is an unfavourable one? It doesn’t make sense in a democracy. For in a democracy, what the common people think about the country’s institutions must matter. And it should benefit the government to know what the people think. Stifling opinion, on the other hand, is like sweeping reality under a carpet. Like pretending there is no antipathy to something when there is. That antipathy is not going to disappear. 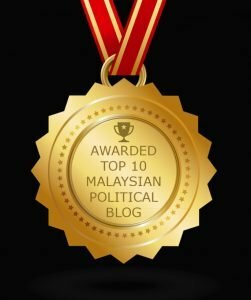 The better option to the objectionable dictatorial practice of hiding reality – which, incidentally, is what we suffered under decades of BN rule – is having the matter out in the open, letting the opinions be aired, letting open debates flourish. This is the way of a mature society, a democratic society. The kind of society Harapan should want to foster. The value of allowing public debates is to find out why people are disgruntled, so that solutions can be worked out for the problems. That is certainly a better practice than pretending that everyone is happy when they’re not. Of course, while expressing disgruntlement, we must never publicly insult any member of royalty. Just as we must never publicly insult any other Malaysian in any other situation, commoners included, simply because it goes against human decency. 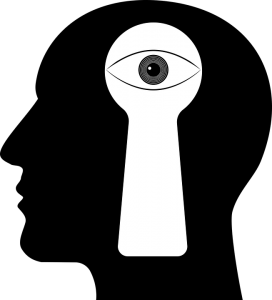 But we should be able to criticise when criticism is called for – in the spirit of fair comment. That does not amount to insulting or denigrating the institution of monarchy. 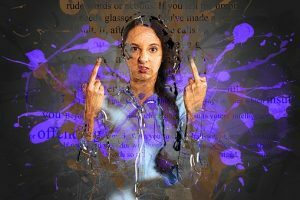 Too often, our authorities and our people are unable to make the distinction between insult and fair criticism because they tend to get carried away by emotionalism. It is therefore incumbent on the current government to set this right – not by stifling opinion but, instead, by providing the required education for one and all. As Prime Minister Dr Mahathir Mohamad himself admitted recently, “At the moment, our enforcement officers do not understand what is considered insult, so we need to spell out what sort of actions or words can be construed as insults.” Damn right. Then by all means proceed to educate. If that is the case, and Mahathir himself has made it, why then is there a need for Gobind to scare everyone by warning that Big Brother will be watching what they post on social media? Is it for political expediency? Is it connected to the Cameron Highlands by-election that is happening on Jan 26? Is it to appeal to a certain segment of the populace to win their hearts and votes, not just for next week but for future elections as well? I hope not. This is not what the people who voted for Harapan expect. What they expect is for Harapan to do things that are good for the country as a whole. That includes opening up discourse and listening to what the people think, feel, and say. Harapan should not be doing the same old, same old stuff of BN times. 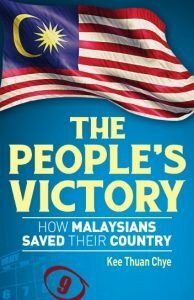 Malaysia should be a long way from 1984. 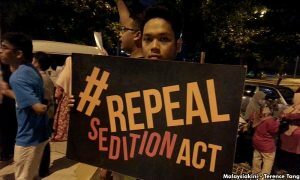 What the Harapan government should do is live up to its promise of reform – and, in this context, it should bring back the moratorium on the Sedition Act while it is waiting to abolish the dreaded law. That’s assuming that it is still sincere about abolishing it! The moratorium was lifted after the Seafield Hindu temple riots broke out last November. The government should realise that there was no real need to lift it then, and, as such, quickly act to re-instate it. Then in due course, the government should move to abolish the Act. And in doing so, it must not replace it with an Act of a similar ilk. This is imperative. No new law, please, even though de facto Law Minister Liew Vui Keong threatened to come up with one two weeks ago, to protect the monarchy “from unfounded slander and attack”. Don’t add more restrictive laws. We have too many already! As lawyers Ambiga Sreenevasan and Ding Jo-Ann have just pointed out, we already have laws in sections 503 to 505 of our Penal Code that “restrict people from making violent threats against others” and “making insulting statements intended to provoke a breach of the peace”. Let us just live by these, and educate the police to apply these laws in lieu of a sedition law. This is what Gobind should push for if he wants to do his job right. Get his cabinet colleagues to institute reform. Get the government to do the right thing. Only then will it do right by the rakyat. KEE THUAN CHYE (R) is author of the recently published book The People’s Victory, available in bookstores. 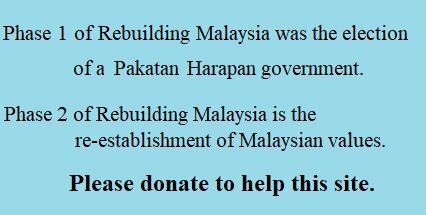 Please note: This article first appeared in Malaysiakini on Sunday 20 January 2019. 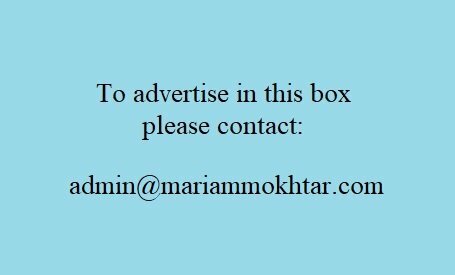 The link is here. Reproduced with the permission of the author, Kee Thuan Chye. Cakap tak serupa bikin. Continue the arrogant attitude and you will be saying Bye Bye in GE15. Why? We will vote you OUT, that’s for sure. Just exercising our rights and duties (sound familiar)??? 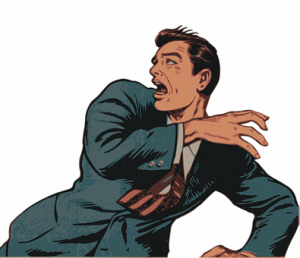 Be warned….